In February and March of 2008, Jenny Badger Sultan and her husband Hank traveled to Egypt. 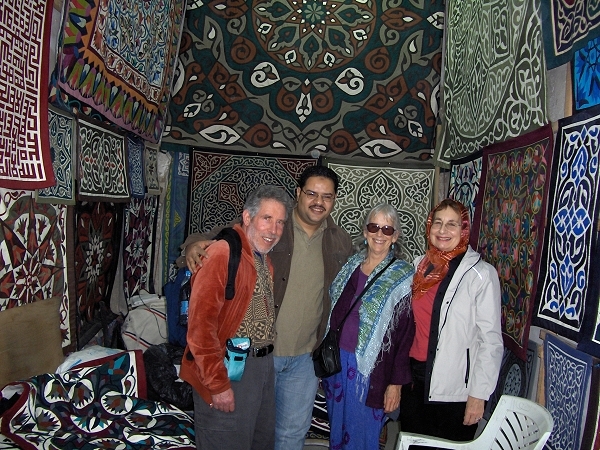 Hank and Jenny with Kathleen Slobin ('64), who traveled with them, buying appliques in the street of the tentmakers in old Cairo. 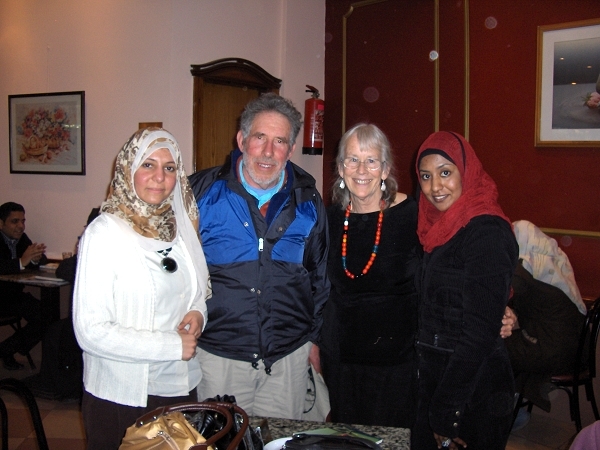 Hank and Jenny with Hanaan and Eman, two young graphic designers whom their son Leon met in Egypt when they were students in 1998.